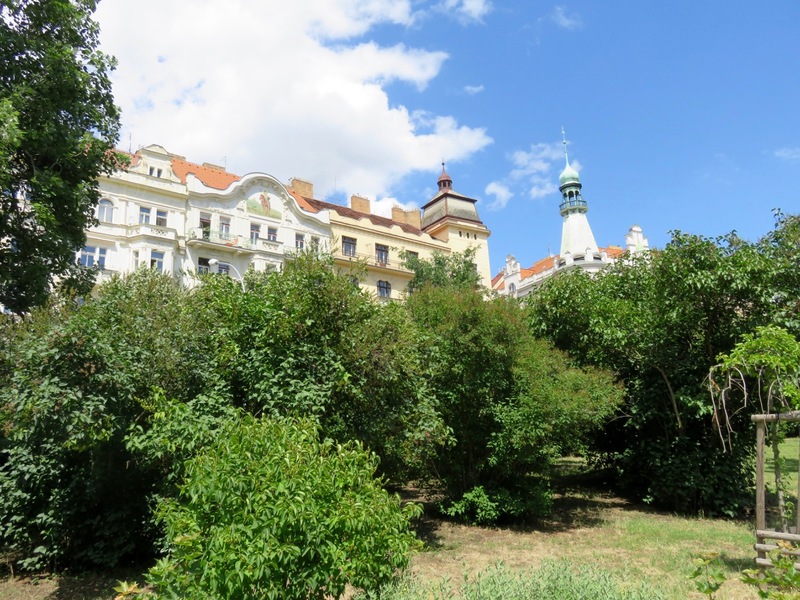 The park Heraldovy sady in the Prague quarter Vršovice is really beautiful, full of fine old trees and surrounded by picturesque facades, just like many other Prague parks. 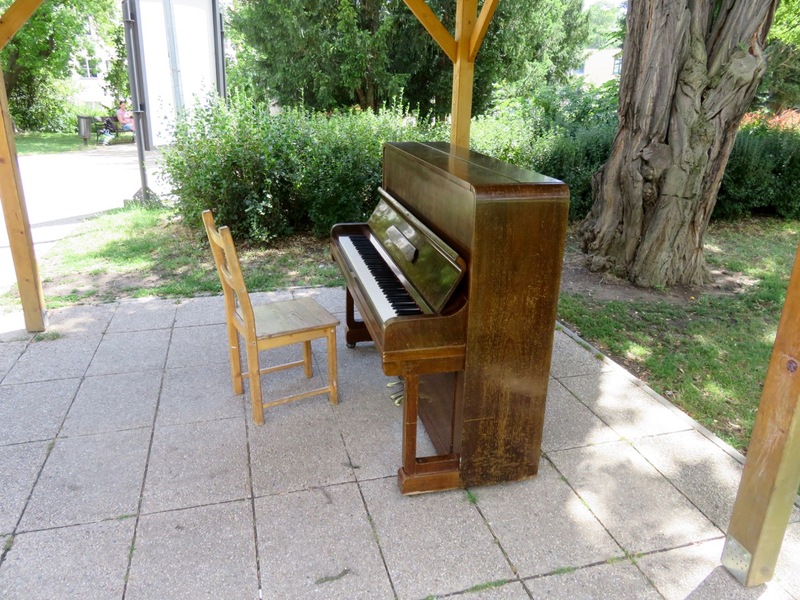 When you walk around the central lawn, however, you notice something unusual: a piano and a cabinet full of books. Enough space to provide shelter for an audience or a small orchestra. That must be awesome during rain! 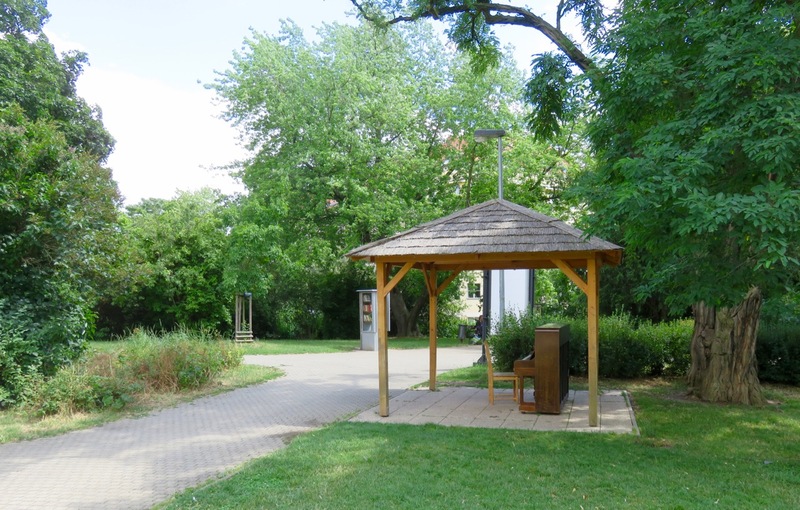 Visitors are free to play a tune or borrow a book, which they can read on the benches next to that open (air) library. 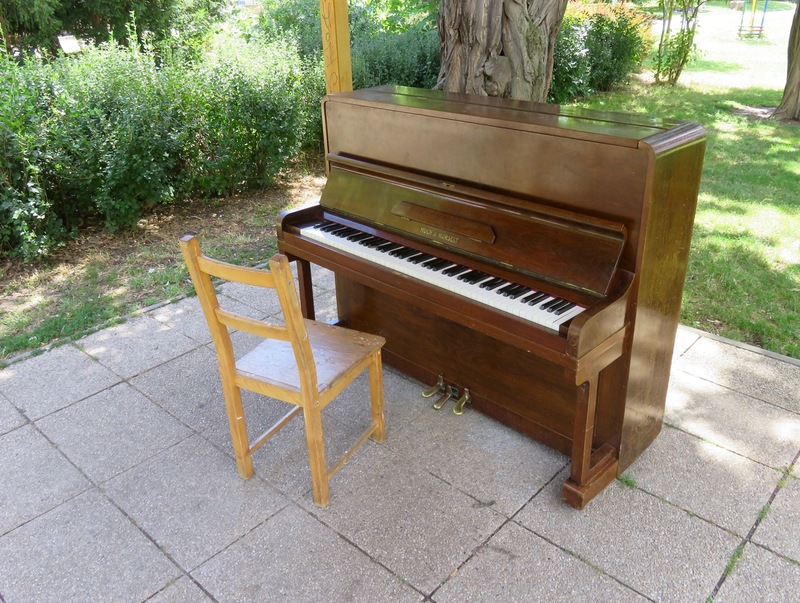 While you find many pianos in the streets of Prague, I’ve never seen them before in such a lovely park area. Of course, it made sense to place it under a roof. 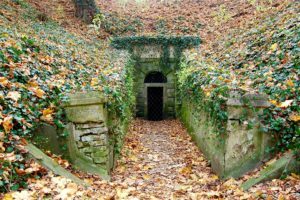 The adjacent Kodaňská street – well worth a stroll! Probably not the place where you would expect to find a piano. 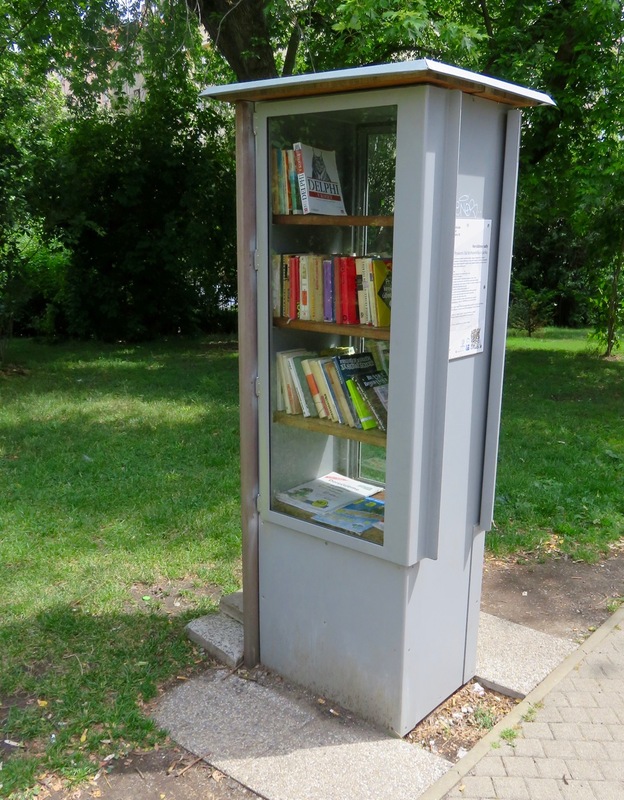 Books are for locals and therefore in Czech. Why not contribute something in English! The best way to get there is to take the tram to the stop “Ruská” or “Vršovické náměstí” and then walk 5 minutes behind that little “castle” on the hill. Bonus tip: Check out the main hall inside the art nouveau bank at the square where the tram tracks pass, south-west of that castle. The entrance is marked by two free-standing columns with two birds of prey on top. 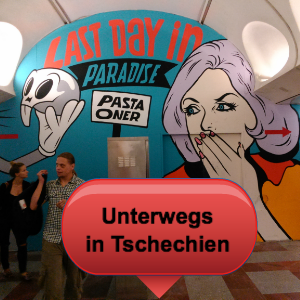 Continue eastwards along Kodaňská street where you find many small cafés. 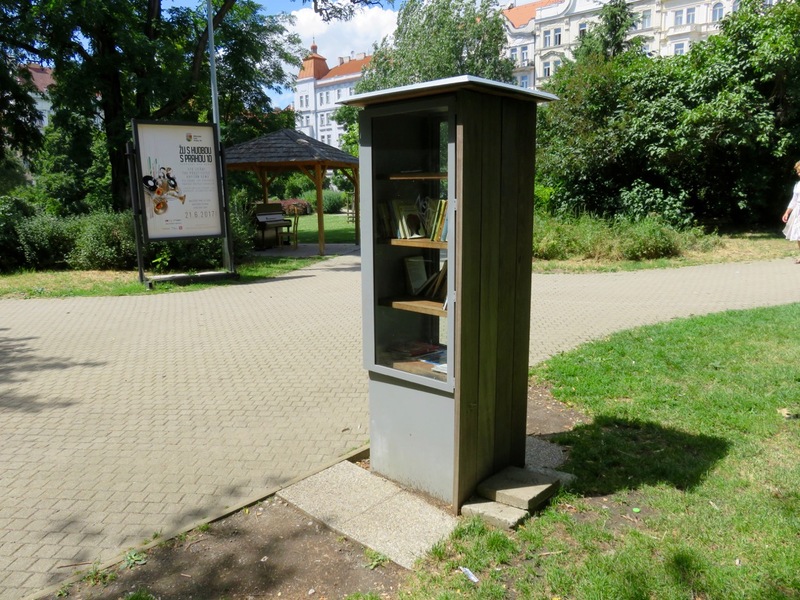 There’s another piano with bookcase in Prague 6, at the “Šestka” spot by the Dejvická roundabout.